Carpet stains are inevitable in the house no matter the steps you take in prevention. When it does happen, your once beautiful carpet turns into 50 shades of ugly. 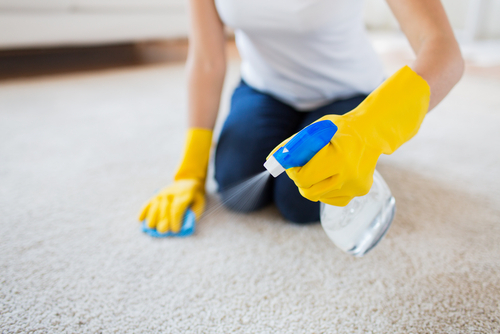 Spills from ink, nail paint, tea or coffee, wine, or pet mess could negatively affect your carpet without recourse that is if you do not act fast and remove it. There are several DIY remedies for a stained carpet that will save your dime. A penny earned is a penny saved so they say, you won’t have to call professional carpet cleaners .Below are some tips on removing stains from carpet. 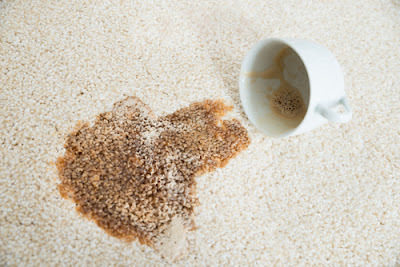 Coffee or tea spills are normal in any household but what will you do when they tarnish the look of your carpet? Worse still, someone might confuse them for pet mess, your hypersensitive allergic visitor won’t touch on his/her food. To save face, whenever coffee spills on your carpet do the following. Dry the stained area by wiping with a clean dry towel, be sure to contain the stain within a small area, and do not spread it further by rubbing. • Soak the stained spot with the stain remover mixture, rub, rinse with warm water and dry. Repeat the soaking and rubbing until the stain is vanquished. • If you plan to use stain removal products first perform a test to ensure the chemicals won’t react negatively with your carpet material. Safety first so take precautions and wear gloves to protect your skin while working with this treatments. There are many household solutions and chemicals you can use to remove alcoholic drink stains from your carpet. Follow the below procedure. • Use a homemade stain remover made of vinegar, Dawn dish soap and water. Spray the solution on the stained area and allow soaking for five minutes. • After soaking for some time proceed to blot with a clean dry towel until the stain is removed. • For stubborn stains, try some carpet stain removal products in the market, but be sure to test on a small area first before applying the treatments on the rest of your carpet. • Alternatively, if you spill alcohol on your carpet, pour some white wine on the spot to blot the color. • Rinse again and vacuum to dry. Do not let the color freak you out, blood stains are some of the easiest to clean from your carpet. All you need to do is clean it fast before it dries on the spot. The longer you wait, the more stubborn it becomes. • Rinse with cold water and repeat the procedure until the stain is entirely removed. Kids love playing around with ink and occasionally they decide to add their own decorations on the floor. Do you sometimes worry; the tips below will help you rid your carpet of the stubborn ink spills. • Beer is a perfect stain remover. Soak a clean dry cloth in beer and dab the wet cloth on the stained area until the spot is soaked with the alcohol. You can also use whiskeys or white wine or vinegar. • Alternatively, you can just pour the alcohol on the stained area as long as you make sure it does not spread. • Repeat the procedure until all the ink stain is removed from your carpet. • Cornstarch is also a perfect remover of ink stains. Mix 1 tablespoon of corn starch in water and stir it into a thick paste. Grease stains can come from broth spills, margarine, or your child playing around with greasepaint. Sometimes you can rarely recall what caused the stain, or it is a mixture of various stains. Ammonia solution will do the trick for you and rid whatever stain it is.